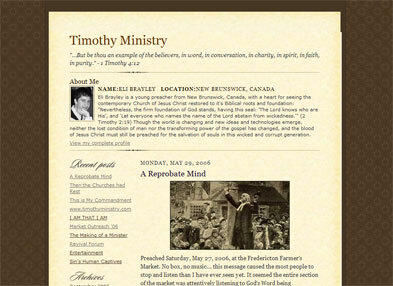 Timothy Ministry: TimothyMinistry.com - One Year Online! Praise God for His faithfulness! Truly, the steadfast love of the Lord is better than life. May the Lord increase the influence of this ministry and use you as a godly example to this generation, never dream to small. God is raising up "men" to impact this generation. You are in my prayers and thoughts dear brother, keep pressing on.